Our interdisciplinary laboratory is mixture of enthusiastic life scientist, physicists and engineers, whose goal is to understand the fundamental principles underlying the function and development of neural circuits in health and disease. In order to achieve this aim, we use genetically tractable small model organisms, zebrafish and fruitfly. We monitor, dissect and perturb the brain circuits, through a unique combination of functional imaging, optogenetics, electrophysiological recordings, molecular genetics and quantitative behavioral assays. Sensory computations: Our primary goal is to understand how sensory world (smell, vision and taste) is represented in animal brain and how these computations regulate different behavioral programs (e.g. fear, arousal, feeding). Moreover, we are interested in understanding how these representations are modulated by behavioral states of animals (e.g, stress, reproduction and hunger). We achieve this by focusing on those brain areas that integrate information from multiple sensory modalities and closely relate to behavior (e.g. telencephalon, habenula, brainstem). Small and accessible brain of zebrafish provides an exceptional framework for studying the neural circuit computations both locally and across multiple brain regions simultaneously. The role of cilia in brain development and function: The cilium is a small cellular appendage projecting from the surface of most cells, like a tiny antenna. It can generate flow or play a structural, sensory or signaling role in many tissues. Hence, defects in cilia observed in ciliopathy patients affect multiple organs and result in developmental defects, heart and kidney disease, respiratory dysfunction, anosmia and neurological disorders. Using a combination of genetics and imaging techniques, we investigate cellular and physiological mechanisms regulating ciliary function and motility, in vivo. Altogether we expect our work to set a framework for studying and characterizing human ciliopathies using zebrafish as a model organism. Neural circuit mechanisms underlying neurological diseases: Finally, our laboratory is always open to reach out to the local and international science community for providing the expertise in studying neural circuit function and architecture to investigate the changes in brain circuits underlying neurological diseases. A small core in our laboratory is interested in applying systems neuroscience tools to zebrafish and fruitfly models of neurological diseases (e.g. Fragile X syndrome and epilepsy). Our aim is to understand the alterations in neural circuit computations and connectivity in these disease models. 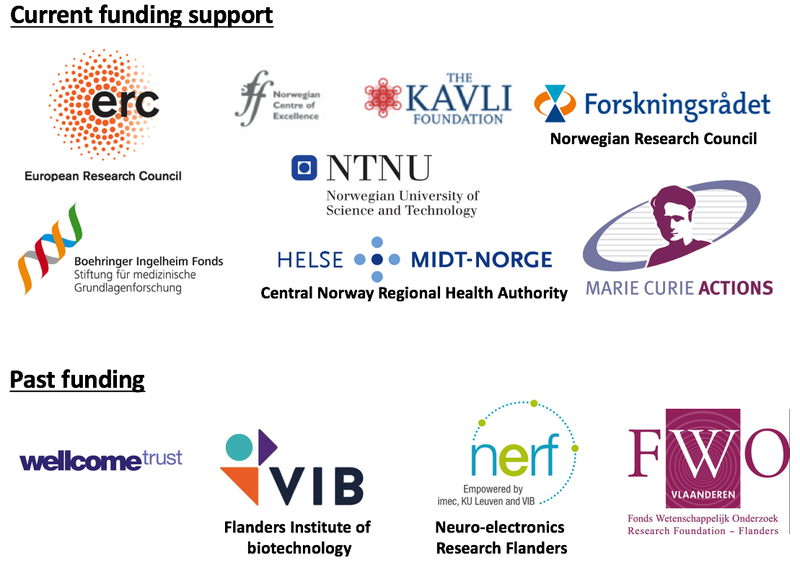 On the long term, we expect that our work will inspire scientist not only to simulate and imitate brain circuits in silico, but also comprehend neural mechanisms underlying neurological conditions such as stress, anxiety, eating disorders or neurodegenerative diseases and inspire the development of novel therapies.